To get you started I’ve put together a nice Google Map with all the attractions. 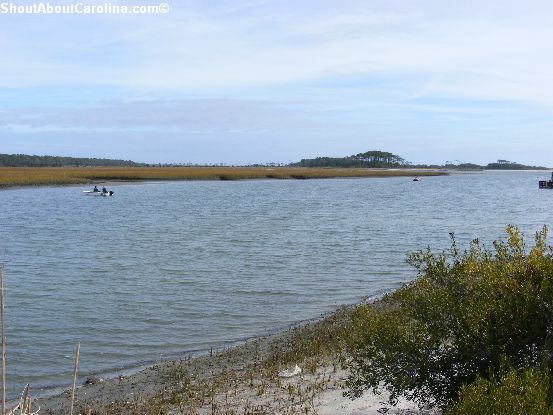 • Walk inside the pristine Heritage Shores Nature Preserve located next to the Cherry Grove Park and Boat Ramp. Feeling more adventurous? Kayak the Cherry Grove inlet all the way to the Atlantic Ocean. Beware you may be greeted by dolphins! • Speaking of dolphins, you can see bottlenosed dolphins swim freely around the pier. I got a special treat, seeing them at sunset on 2010 New Year’s Eve! 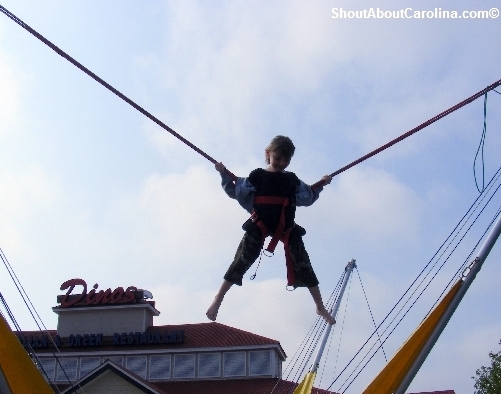 • Jump, slide, crawl at the playground, most likely the most scenic in the Carolinas! 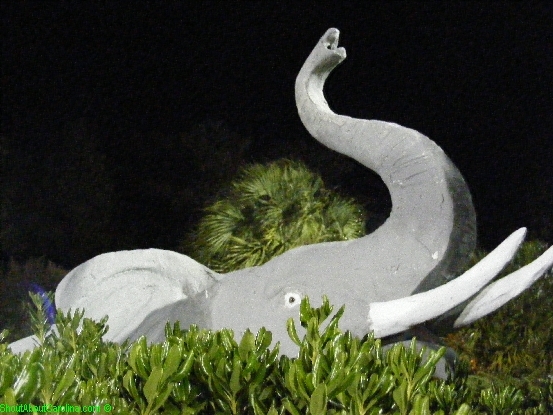 • Visit the Burroughs-Chapin museum, the only art museum in Myrtle Beach, located across the Springmaid Pier. They have an Art Studio just for kids. • Fishermen unite at the outstanding Cherry Grove Pier, home to many record catches such as a 1780 lbs Tiger Shark and a 98 lbs Tarpon. All day pass to the pier is $1.50. Bait, tackle, and rods rentals are available at the pier shop, or pay $6 pier fishing fee if you bring your own. 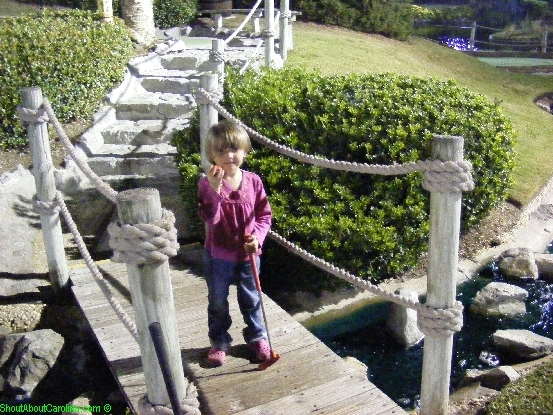 • Speaking of piers, in January 2011 we spent a wonderful weekend at Springmaid Beach Resort, which proudly boasts the historic Springmaid Pier (longest pier in Myrtle Beach). Admission is $1 (free for resort guests), a daily fishing pass is $8 and rods can be rented for $10. • Have a tea cup party ride at the Pavilion Nostalgia Amusement Park at Broadway at the Beach ($3+tax per ride, less for bulk purchases). 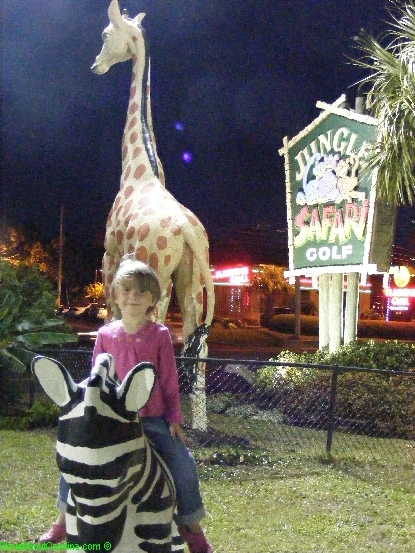 Here is a 2011 list with the most exciting rides. 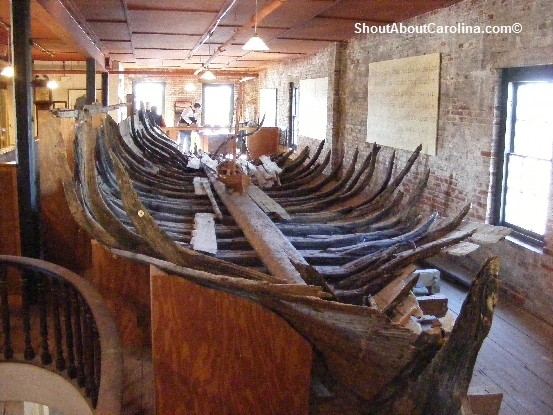 Browns Ferry Vessel traveled in early 1700s along the Carolina Coast to bring goods from plantations to Charleston. • See how native people lived along the Carolina coast before the arrival of Europeans. 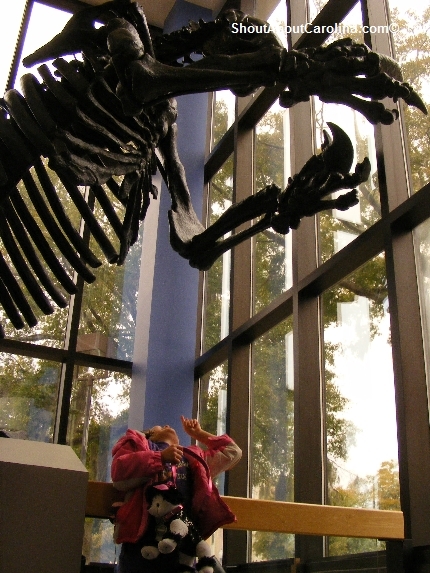 The Horry Conway Museum in downtown Conway features a great collection of Native American artifacts from Archaic, Woodland and prehistoric time periods. Admission is free. Added bonus, take a relaxing stroll along the Waccamaw River to enjoy beautiful scenery, historic warehouses and the Conway Arboretum. 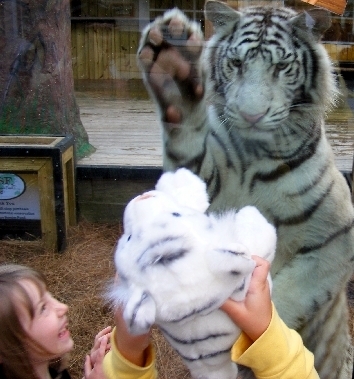 Enjoy your family vacation along our beautiful Carolina Coast!